Getting the most out of your renovation budget means using high-quality building supplies that are guaranteed to stand up to the test of time. At Lakeland Building Supply, we offer a vast selection of wholesale doors, siding, decking, and more from top name brands—helping you save time and money on your next remodel! Our Madison building supply company can even help you with the design and planning stages of your project, making us the one-stop-shop for all the building supplies you need to get the highest value for your home investment. Having efficient, stylish windows in your home can add substantial value and curb appeal to your property, and Lakeland has the premier replacement windows you need to match any aesthetic. All of our affordable windows are crafted to last for decades while standing up to the harsh Wisconsin climate, and we work with brands such as Milgard Windows, Kolbe Windows, and CertainTeed Windows to ensure that you are getting a top-notch product. Have the cabinets in your kitchen seen better days? Then it’s time to consider an update with durable new cabinets that blend seamlessly into your existing décor! Our Madison building supply experts are trained to help each of our customers find the ideal wholesale cabinets to transform their homes without breaking the bank. With brands that include Mid Continent Cabinetry, Dynasty Cabinets, and Top Knobs, you can rest assured you are getting the highest quality at the most affordable price. The doors of your home need to be functional, secure, and visually appealing, and nothing transforms the look and feel of a home faster than new patio doors and cabinets! 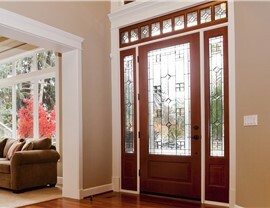 Whether you want to add value with stunning French patio doors or need entry doors to improve the functionality of your entry, Lakeland Building Supply has the ProVia Doors, Kolbe Doors, and other name brands you need to update any home. From summer storms to freezing temperatures, the weather in Madison can change on a dime, and you need to know that the exterior of your home is protected from the elements. When you’re in need of Madison building supplies to improve the look and function of your home’s exterior, Lakeland has the best selection of siding in the industry! From highly-insulated siding to custom color options, we have the products you can count on from NextStone Siding, Hardie Siding, North Cape Siding and more to transform the outside of your home. There’s no better way to enjoy the beauty of the Midwest than by relaxing on your own deck, and we offer high-quality decking materials to help you create the outdoor living space of your dreams. 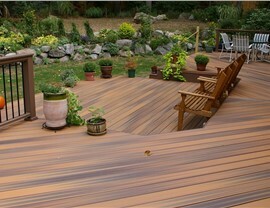 Lakeland provides durable, long-lasting products that range from wholesale PVC decking to composite decking, as well as railings and additional accessories to put the perfect finishing touch on your deck remodeling project. When you’re in need of a Madison building supply provider, there’s no better choice than Lakeland to get top-rated products at unbeatable prices. 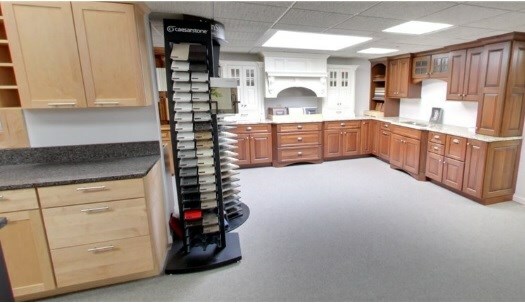 If you’d like to learn more about the wide range of home remodeling building supplies we offer, contact us today! You can give us a call or fill out our online form to request your free estimate or stop down to our stunning showroom to get a firsthand look and meet with a design expert.